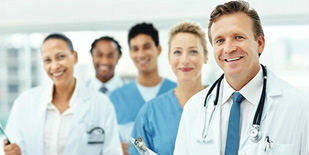 Stem Cell Therapy, also known as regenerative medicine, is an area of medicine where there are many interesting ideas. At its core, stem cell therapy uses specialized cells to help the body regenerate cells that have been damaged by disease or injury. 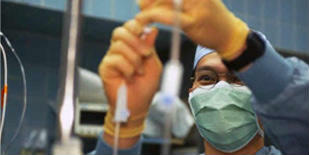 There is a great deal of controversy on stem cell research. While much of the press focuses on using human stem cells to create clones, most medical establishments are more interested in the microscopic, yet profound, healing benefits that stem cells provide the human body. Before one can understand the dramatic effects of modern stem cell therapy, one must understand what human stem cells are. Stem cells are the most basic "raw material" from which all other cells in the human body originate. Whether in the perfect environment of the body, or in a very controlled environment in a laboratory, stem cells multiply and form daughter cells. These daughter cells differentiate to become heart tissue, blood cells, brain or bone cells, muscles, teeth and most every other type of tissue in the body, each with their own highly specialized functions. These are the ones most debated as they require an existing human embryo to be harvested. These are the most potent of stem cells because in a 4-5 day embryo, there are about 150 stem cells that are "pluripotent". They can multiply into more stem cells, or they can be made into any type of specialized cell found in the body. Their regenerative abilities are the highest in terms of regenerating or replacing diseased cells/tissues in humans. Also called "non-embryonic", "mesenchymal" or "somatic", these stem cells are found in everywhere in the body. As we age, these cells begin to die off or are trapped in stores of fat in the body. In fact, fat is rich with mesenchymal stem cells and has been found to be one of the most accessible sources of these cells. Since most people have excess fat, a minimally-invasive harvesting procedure akin to liposuction can yield hundreds of thousands if not millions of stem cells that can be separated from the fat cells and used to heal the body.